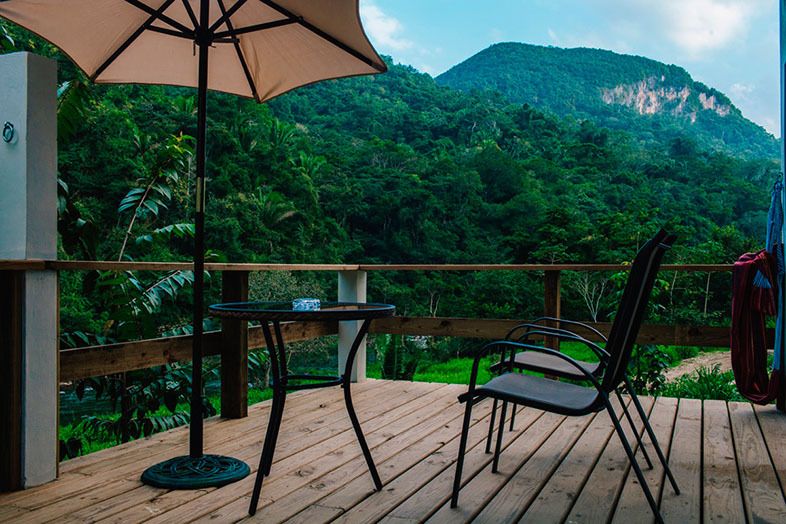 Comfortable detached cabins with views across the Macal River to Black Rock Canyon and verdant rainforest. 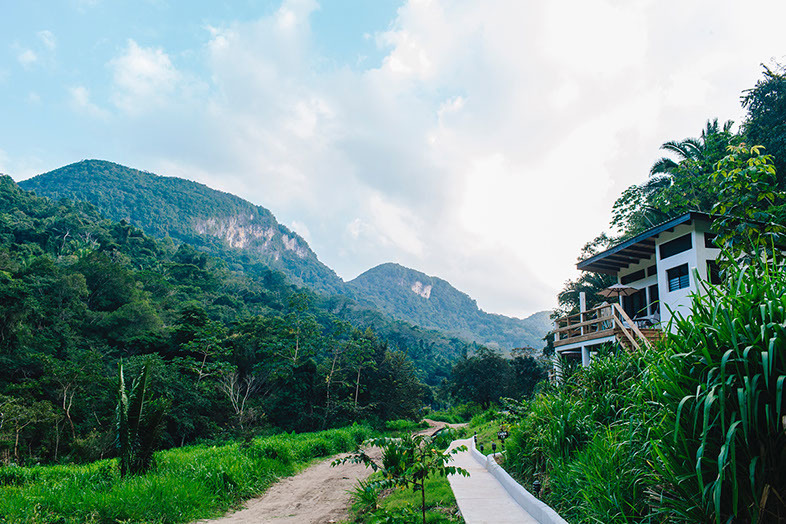 This wonderful sustainable jungle lodge allows total emersion in the wilderness of the stunning Cayo District. The cabins are dotted around the lush grounds and connected by a network of pathways. 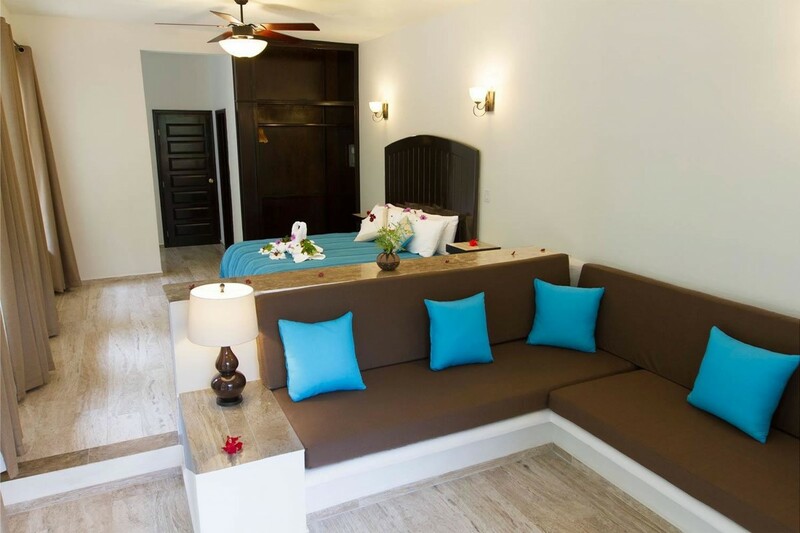 Each of them display artwork created by local artisans and craftspeople. 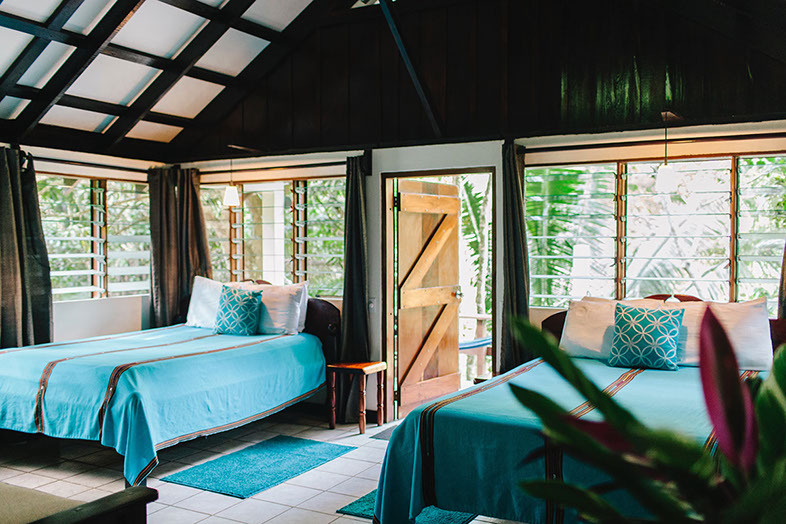 They all include an en-suite bathroom, screened windows and hammocks upon private terraces to allow for complete relaxation in the forest. 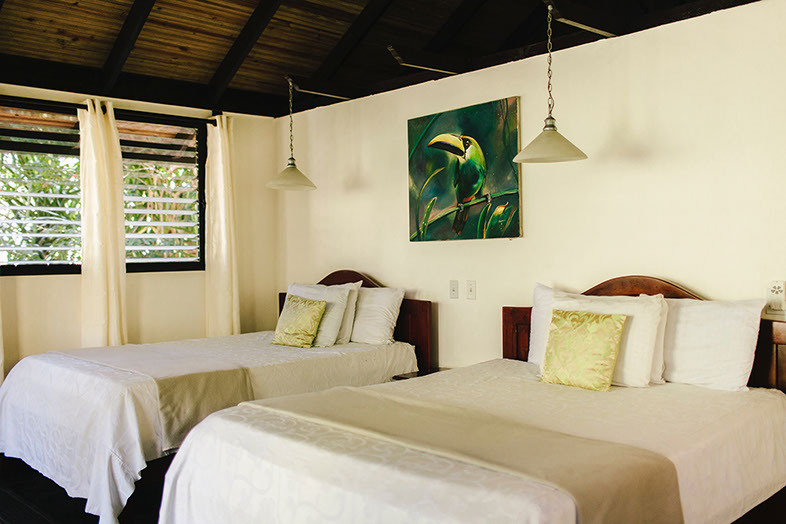 The main building provides incredible views of the Macal River, and hosts the lodge’s restaurant. 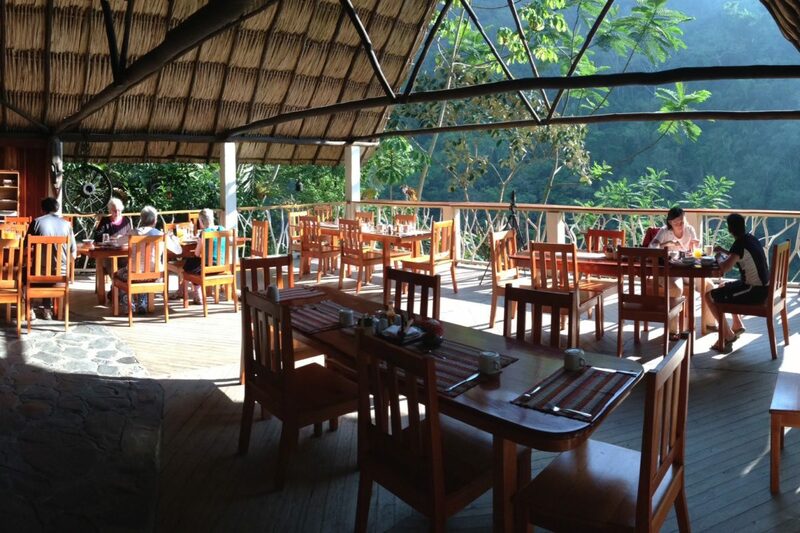 The onsite restaurant serves both local and international cuisine, using produce grown organically on-site. The bread is regularly made onsite too. 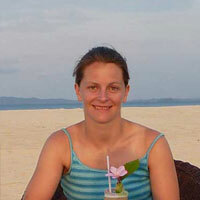 The service is personal, genuine and excellent – nothing is too much trouble. Dinner is a set meal and served communally, while breakfast and lunch are a la carte. The food is wholesome, unpretentious and delicious. 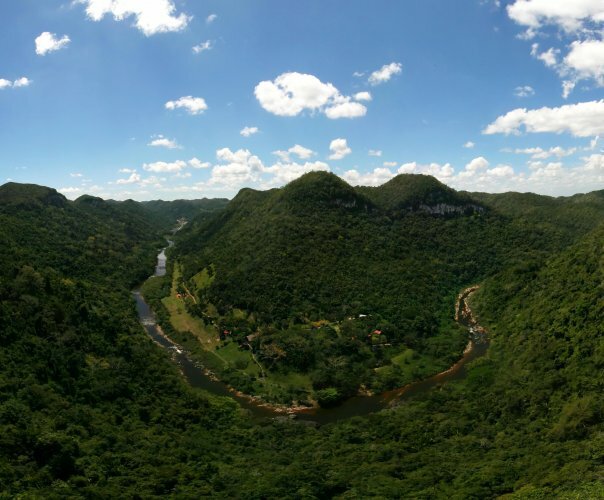 A whole host of activities and tours are on offer, giving the option to either relax in the peaceful jungle setting or venture out into the district and visit many of its famous local attractions. There are incredible opportunities to encounter rare and exquisite birdlife, making the lodge a perfect choice for the keen birdwatcher. The lodge’s sustainable ethos is implemented via its methods of clean energy production, sustainable farming and waste disposal. 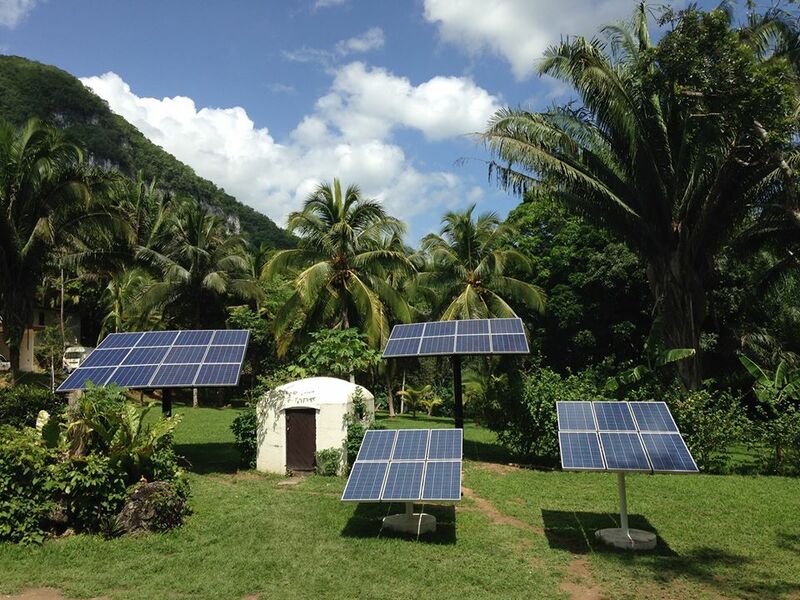 Electricity is generated by a hybrid hydro/solar system, water comes from a mountain spring, waste water is recycled, and the organic vegetables are grown on site using restaurant compost. 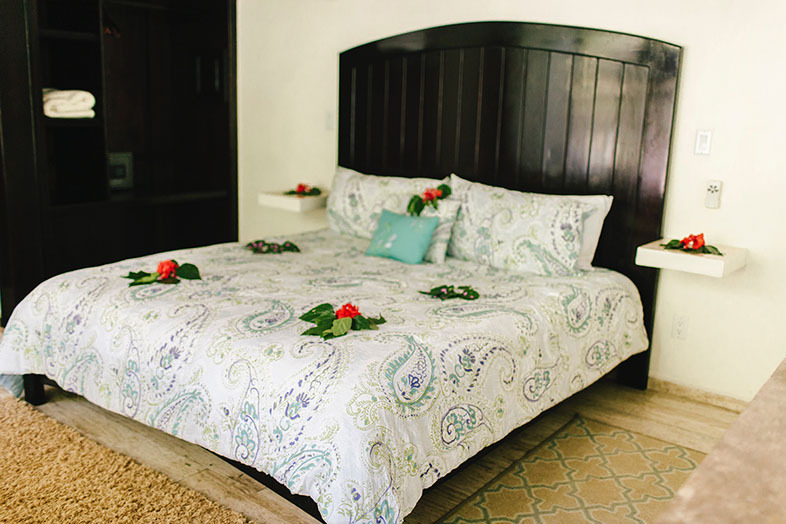 The focus on conservation gives Black Rock the feeling of an authentic wildlife lodge. 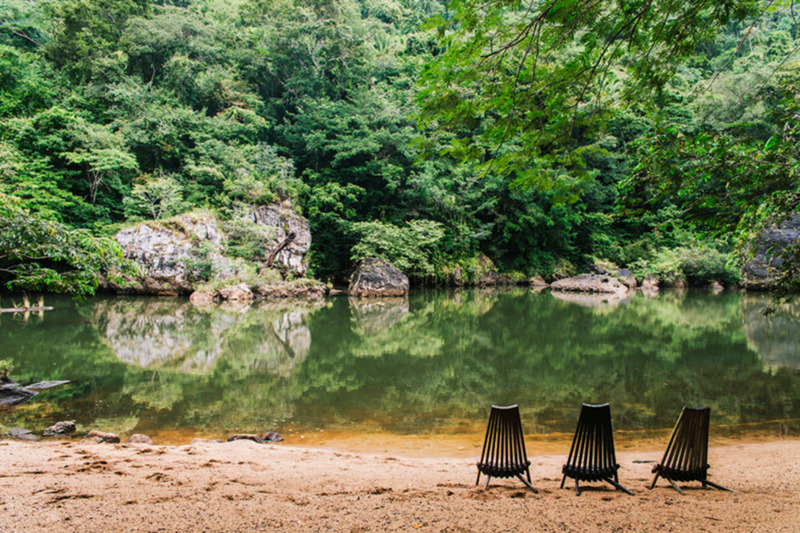 A floating dock upon the Macal River encourages swimming in the refreshing water, whilst there is also a spring water swimming pool and a quiet yoga studio with stunning views. 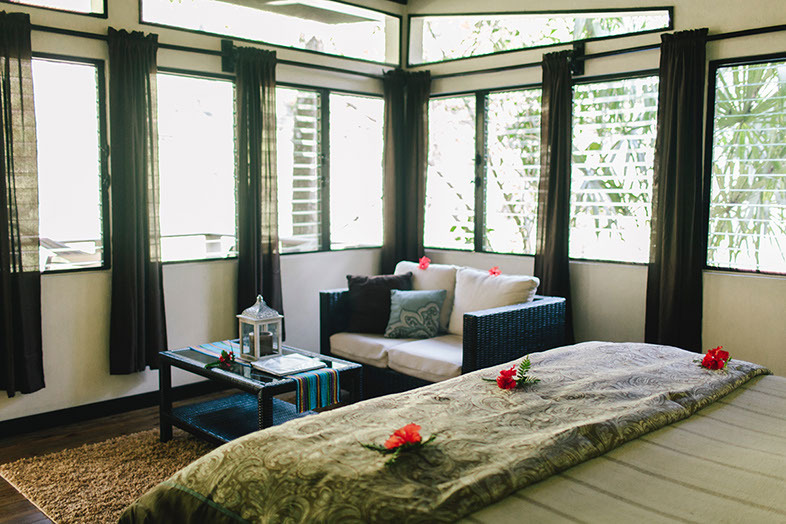 Particularly suited to birding enthusiasts, the lodge’s jungle setting makes it the perfect site to observe around 300 local bird species. Early morning guided walks allow sightings of Toucans, Parakeets and Woodpeckers, whilst night walks often encounter Owls, Nightjars and Potoos. The wild setting facilitates chance viewings of many species, and due to the elevated position of the lodge there are also frequent raptor sightings. 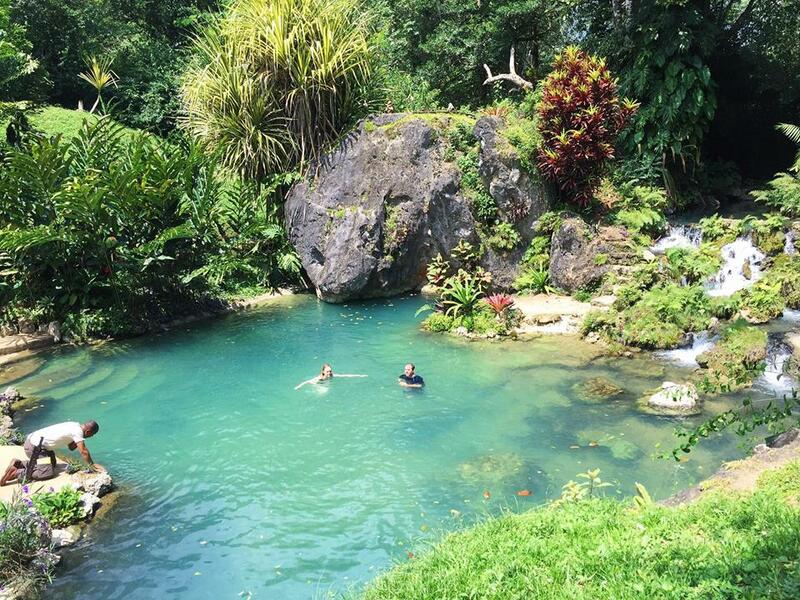 The Macal River is home to many tropical fish species such as Tubah, Kyato and Bottary, as well as Freshwater Turtles. The clear jade-green waters allow excellent sightings of these. Additionally, the wetland areas of the grounds (explored during night walks) is home to many species of amphibians and snakes. 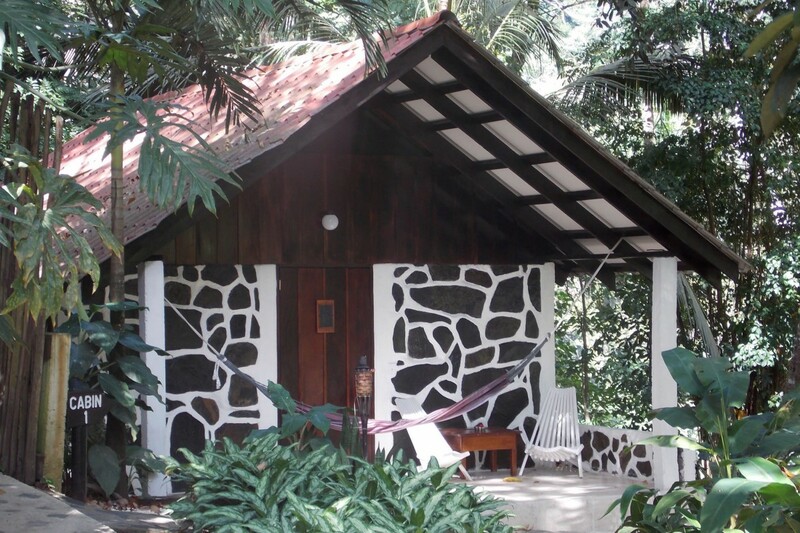 Black Rock Lodge offers an abundance of activities to make your forest experience as memorable as possible. Guided or unguided walks around the lodge’s six miles of forest tracks offer an option to suit everyone with both night and day birdwatching tours available. 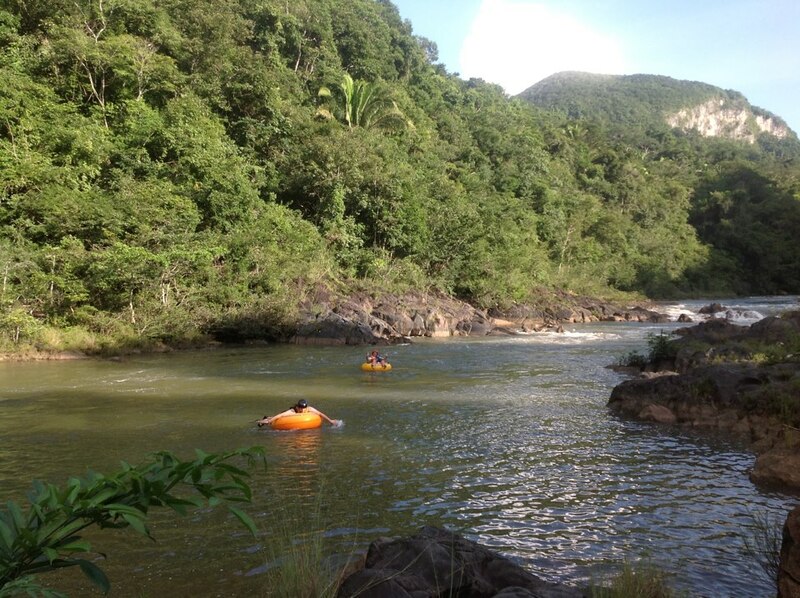 Alternatively, canoeing tours on the river can be arranged, as can river tubing, horse riding and mountain bike trails through the jungle. 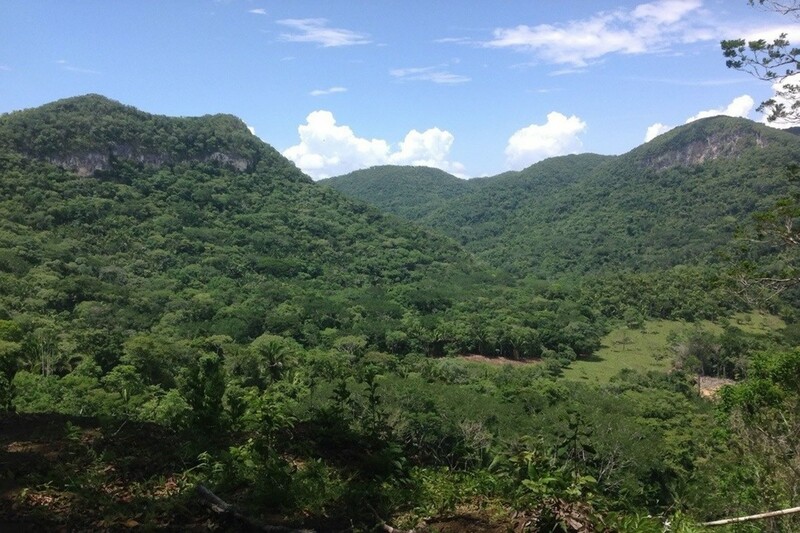 There are a wide range of organised tours available (including visits to Mayan Caves and the nearby Vaca Falls), the variety of which ensure that guests can make the most of their time in the fascinating Cayo District. 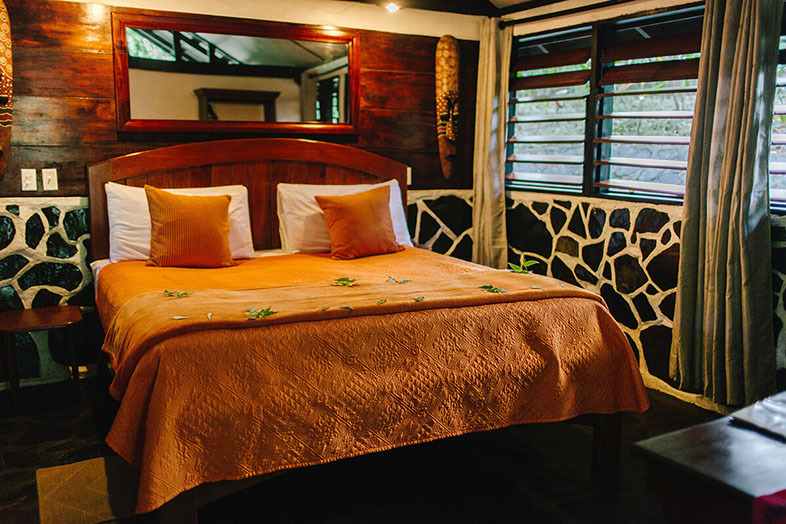 The Waterfall Deluxe Cabin with king bed is great for honeymooners. 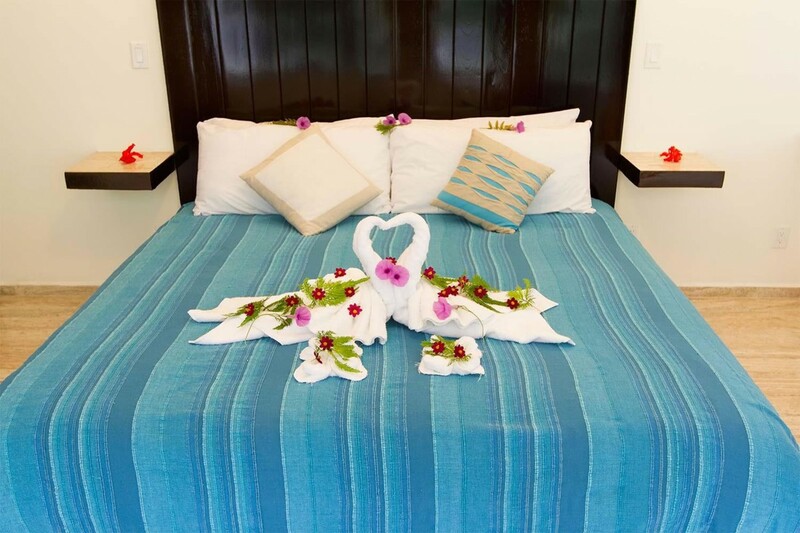 If you want the best accommodation, book the River Front Suites, much better appointed than the other cabins and suitable for honeymooners and families. 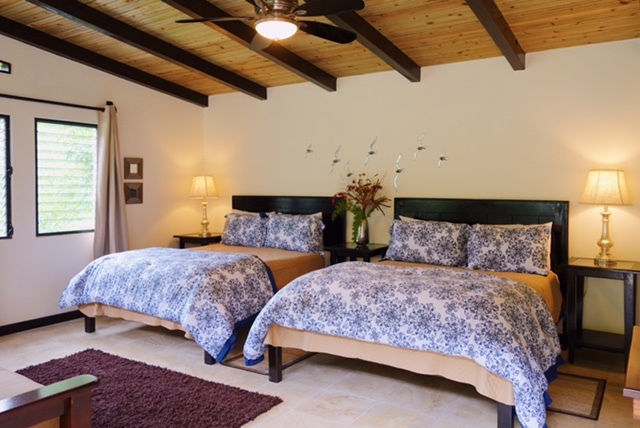 Both can be booked together for larger groups of relatives or friends. 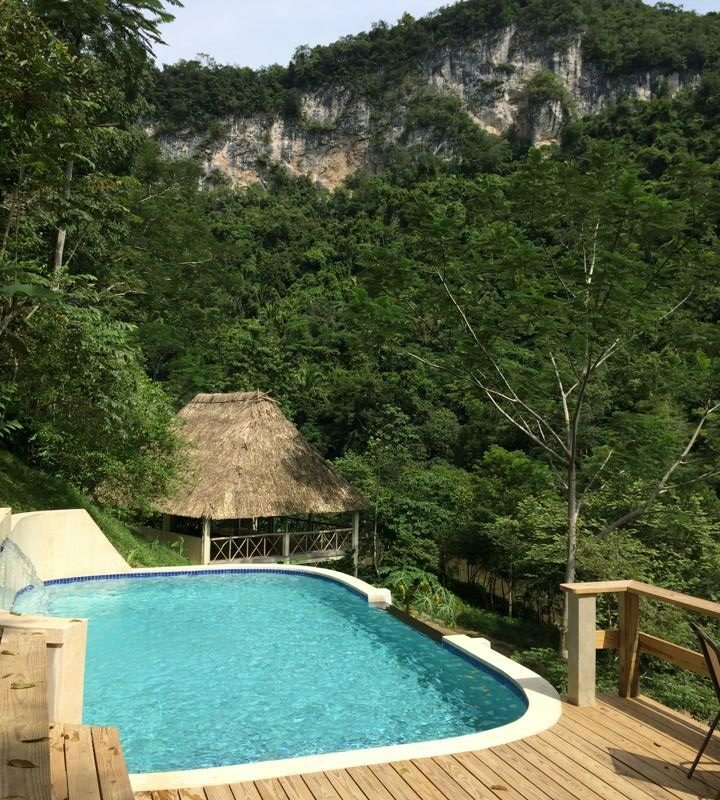 The holiday [to Belize] was superb! The support and advice from Reef and Rainforest [and your consultant] was excellent and the help given to change our flights was much appreciated.